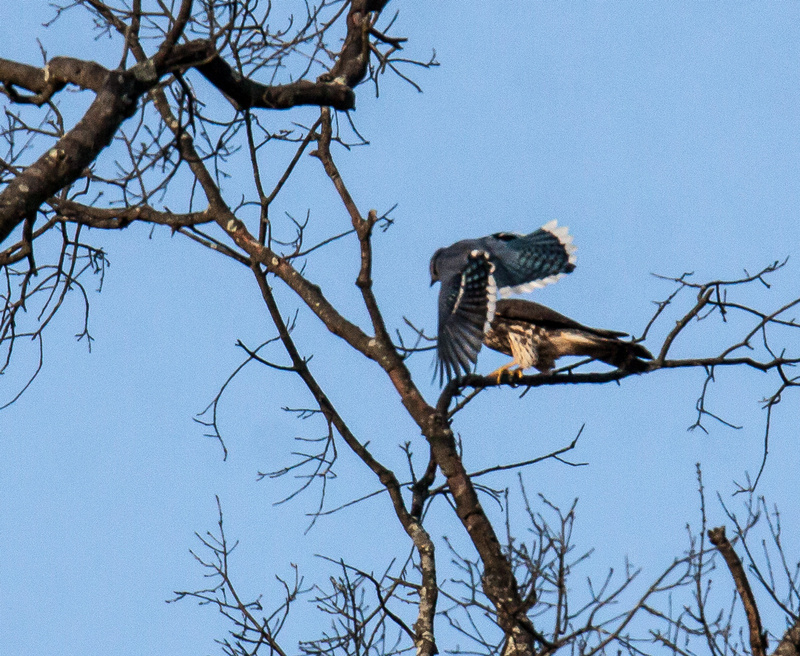 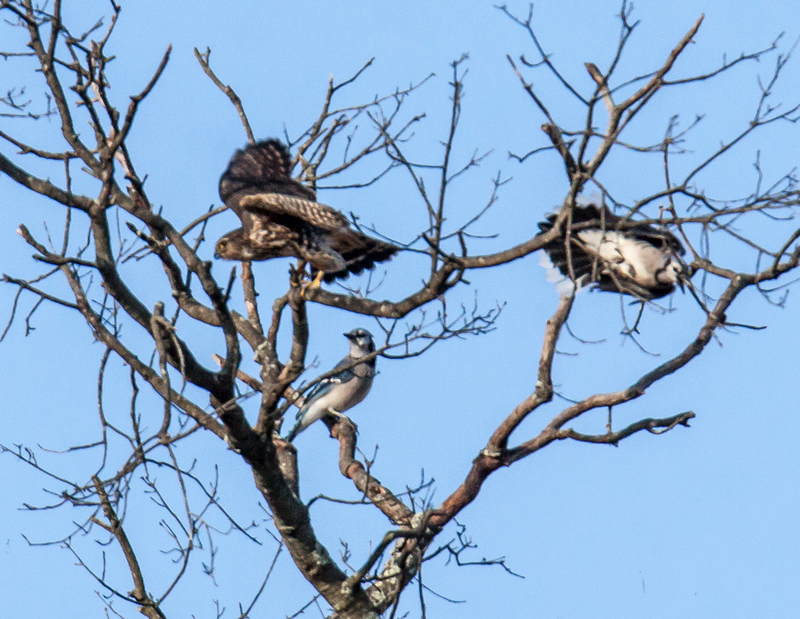 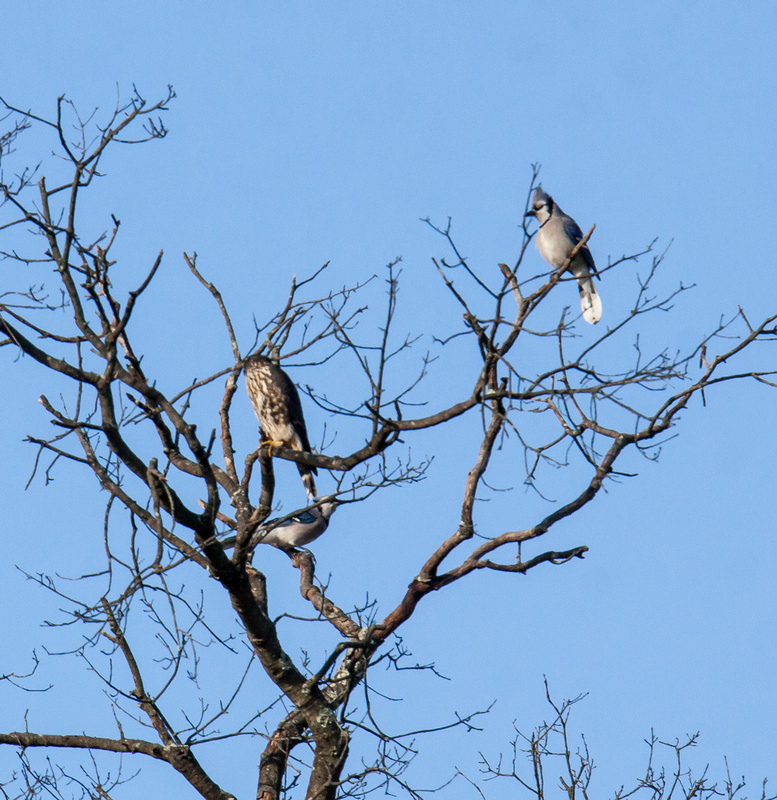 Blue Jays are usually very loud and obnoxious, but this one flew by me without a sound. 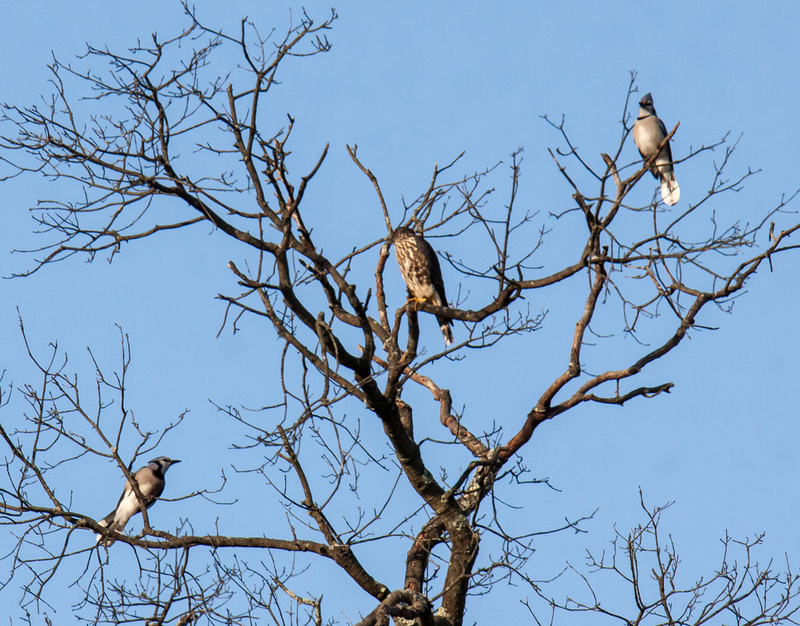 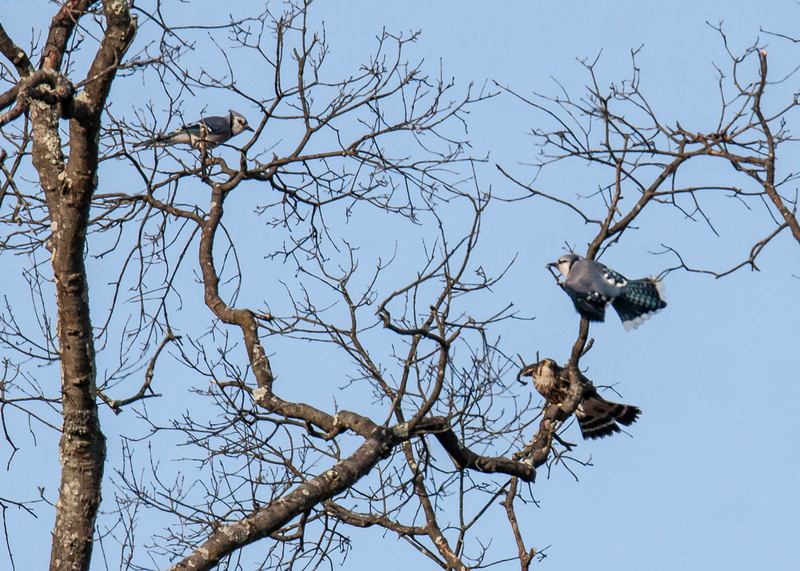 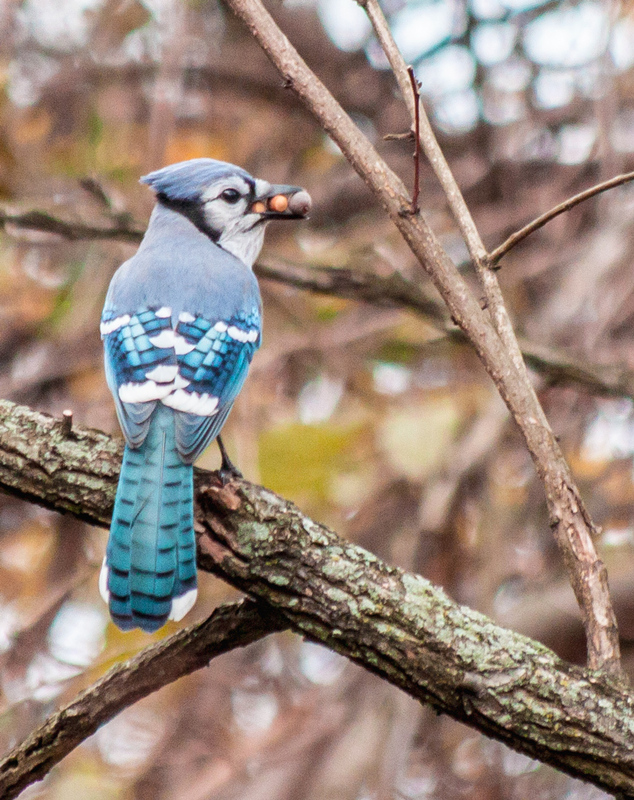 When I looked at the photos, it was pretty clear why I had heard only the sounds of silence—the Blue Jay (Cyanocitta cristata) had apparently discovered an all-you-can-eat buffet and decided to stuff its mouth. 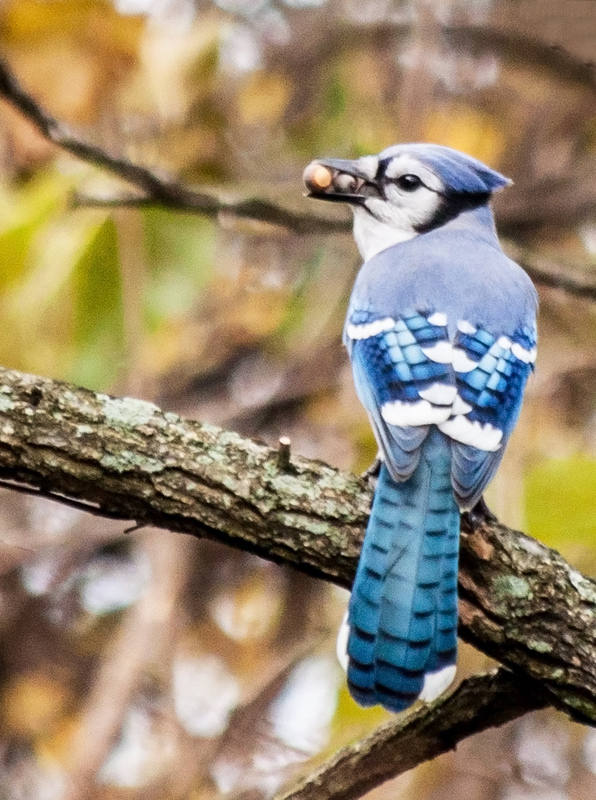 I suspect that the Blue Jay was going to cache the food, which seems to include acorns, and go back for more.